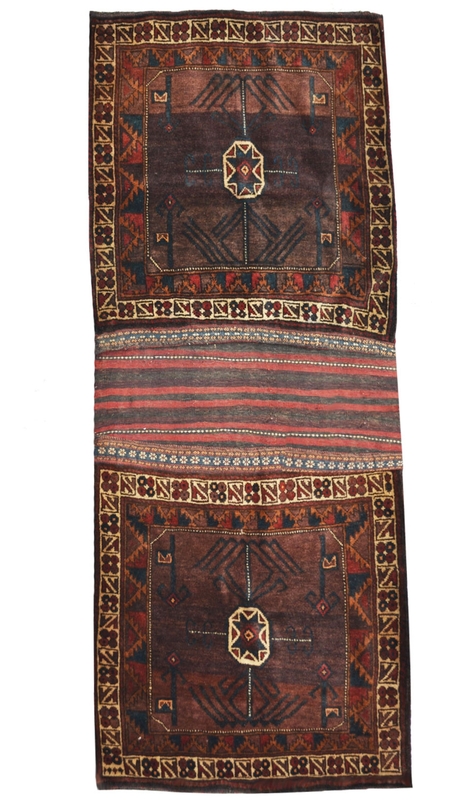 Give an antique look to your décor by placing this kilim area rug in your home. It is made in cotton and wool material and design is woven using needle and wool yarn. This is a highly durable rug. You can use this carpet in front of your bed. The Ethnic pattern motifs are transformed it in Indian style. This beautiful handmade carpet is totally hand-woven in wool and the finest quality of cotton material. Wool is one of the most natural fabrics which are produced by sheep hairs. It is a runner and ideal for a corridor. The ground of this rug is divided into two Squares and contains a beautiful pattern. The design of this rug is made using needle and wool yarn in several colors. The main color is dark brown and ivory color. This runner is ideal for a high traffic area and perfect for giving an antique look to a place.